The Friends group was founded in 1977 (originally as the “Bristol Magpies”) to promote and support the principal sites of Bristol’s museums, galleries and archives service, namely: the Bristol Museum & Art Gallery in Queen’s Road; M Shed, the award-winning city history museum on the historic dockside; the Bristol Record Office located in the former B-bond tobacco warehouse by Cumberland Basin; the Red Lodge Museum; the Georgian House Museum and the Blaise Castle House Museum. In the last few years the Friends have raised up to £40,000 each year from the various events held and from annual subscriptions. Each year, therefore, we are able to make a number of substantial grants to Bristol Museums’ Service as contributions towards new artefacts, conservation programmes, gallery refurbishment, museum equipment, the harbour-side working exhibits and educational activities. For details of some of the more recent grants and acquisitions please click this link: grants & acquisitions . The winter lectures, organised by the Museum each year, from October to March, are free thanks to the sponsorship by the Friends, as are the Museum summer walks. As a member you are able to participate in all the events in our programme, which are published in our quarterly newsletter and on the events page on this website. The newsletter also contains the latest news about the Bristol Museums and Record Office, as well as reports of recent visits by the Friends. Past (pdf file) copies of the newsletters can be viewed by going to this link: newsletter . Volunteers to help with various events are also welcome. You may find out more about joining the Friends and download a membership form by clicking this link: join. Family or joint membership is £32 per year, and single membership is £22 per year. 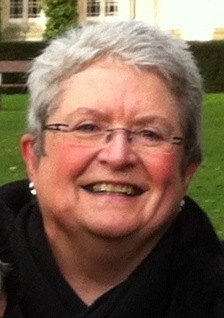 The Friends’ committee is chaired by Sue Thurlow. Despite having a demanding full-time job, Sue likes to attend as many of the events as she can. She is also the person who receives the messages if you use the contact us link . So, if you have any questions about membership or other matters concerning the Friends, then please do contact us, using the following link: contact us ! Friends of BMGA is a registered charity (no. 276777). All its activities are run by volunteers.